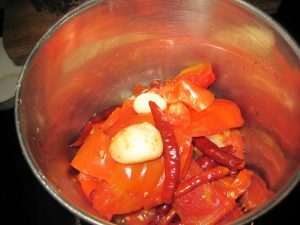 Momos Chilli Sauce or momos ki chutney is prepared with red chillies and tomatoes as primary ingredients.Chilli sauce may be hot, sweet or a combination of both.The spicy dish served with Momos is basically “Chilli Garlic Sauce” that goes well with chinese dishes. Despite of huge amount of chillies, this sauce is not tongue burning, but crave for more. In this recipe we use fresh tomatoes and dry red chillies, that gave it spicy flavor. We can store it in airtight container in fridge and use as when required. 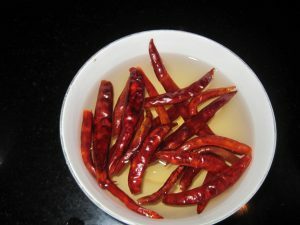 1.Soaked red chillies in water. 2.Chopped tomatoes and garlic roughly. 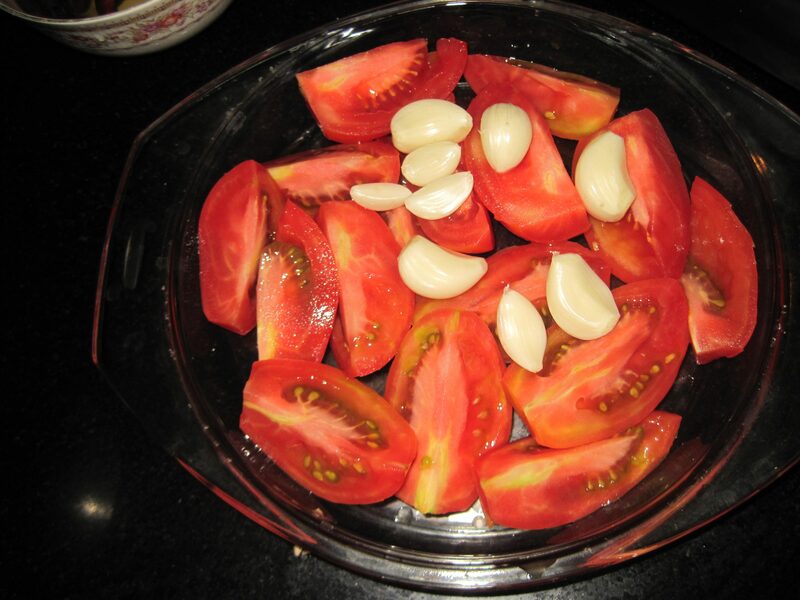 3.Boil tomatoes, garlic flakes & whole red chilli with little water in a pressure pan. 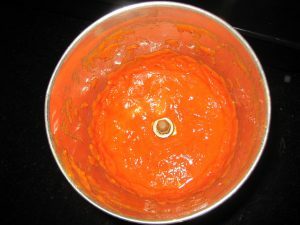 4.Sieve the boiled mixture in a strainer,and discard the water. 5.Grind the mixture in a mixer grinder with little salt . 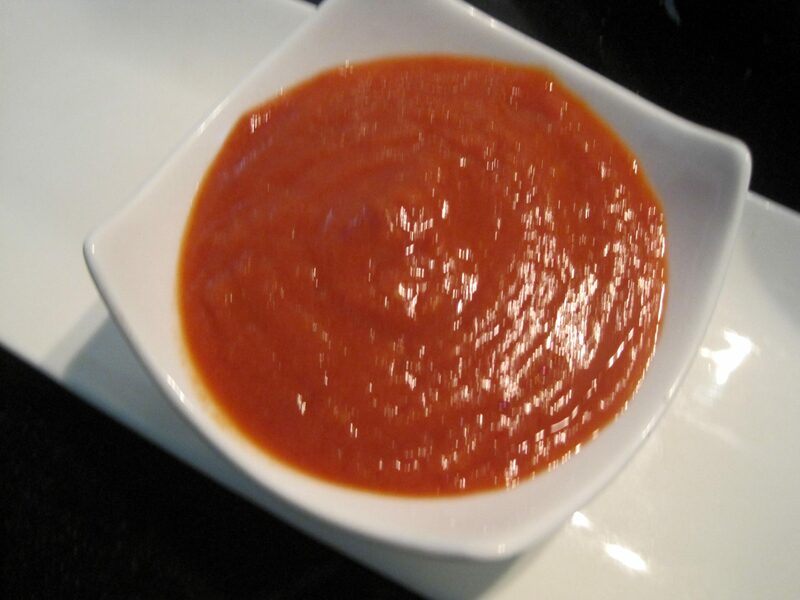 6.Your tasty & spicy sauce is ready to serve. 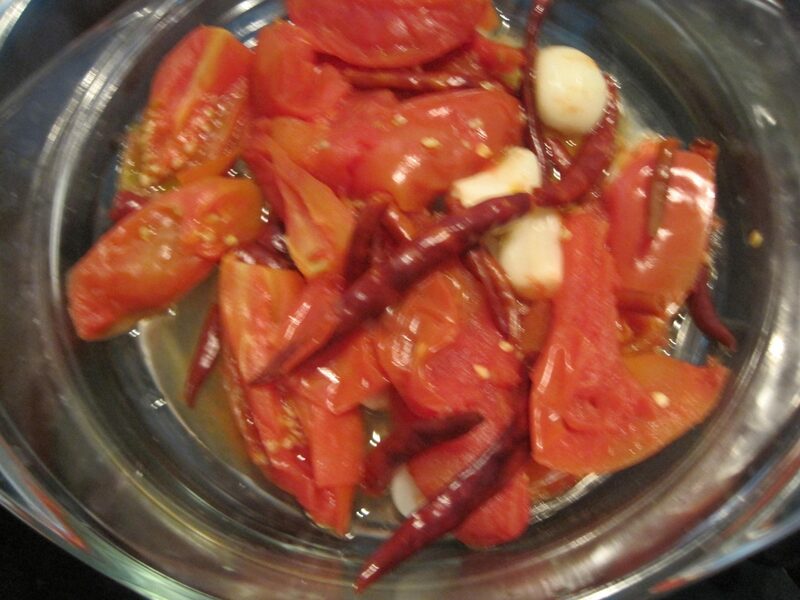 7.Relish it with momos or any snack of your choice. 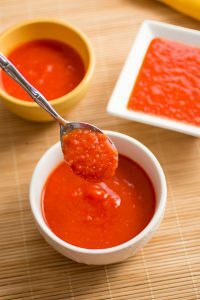 Enjoy your Momos Chilli Sauce.